Taxes are due pretty soon. What does this mean for Chicagoans and how can they get assistance if needed? There are various organizations and websites offering help. Ladder Up representatives went to Olive Harvey College to offer free tax filing assistance a couple of weeks ago at the beginning of the Tax-A-Thon. As well as a tax problem-solving workshop, representatives from John Marshall Law School’s Fair Housing clinic were on hand to give tips too. The aim of Ladder Up is to get the entitled tax deductions and refunds for everyone. Anyone whose income is less than $30,000 (families $55,000) can get free tax preparation assistance. There is also this article written in The Chicago Tribune that provides guidelines and tips as well as this one from NBC Chicago. For pet owners in Chicago, there are various tax breaks you can get. 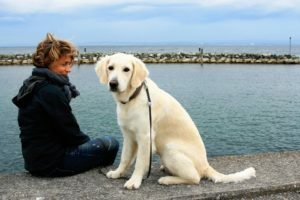 Examples include: guard dogs, cats used for pest control, pets used in hobbies (sometimes, such as dog shows in which they could be seen as a hobby income), foster animal care (with Schedule A in charitable deductions), moving expenses (if you have to transfer your pet to a different home).